About every five weeks, I’m back at the hair salon. Like clockwork. This is what happens when you start coloring your hair. For those of you lucky enough to still have “virgin” hair, I believe you are the minority. The minority with more money in your pockets. Once you begin coloring your hair, going to the salon becomes an addiction, a necessity. You. just. can’t. stop. Heaven forbid anyone see more than a few millimeters of your actual hair color. Sad as it may be, it’s one of the few luxuries I allow myself on a regular basis. And by luxury I mean enjoying a few hours of blissful magazine-parousing, girl chatting with my stylist, and reveling in an exercise entirely for my benefit. I get to be momentarily selfish. Page stopper. Gwen Stefani is my rock fashion idol. Edgy and effortlessly cool. An outfit like this will always make me double-take. Leggings, long burnout tee, blazer, and peep-toe booties. The “go-to” night out style with a twist. All of that with hot pink lipstick AND a fedora.. she’s untouchable. 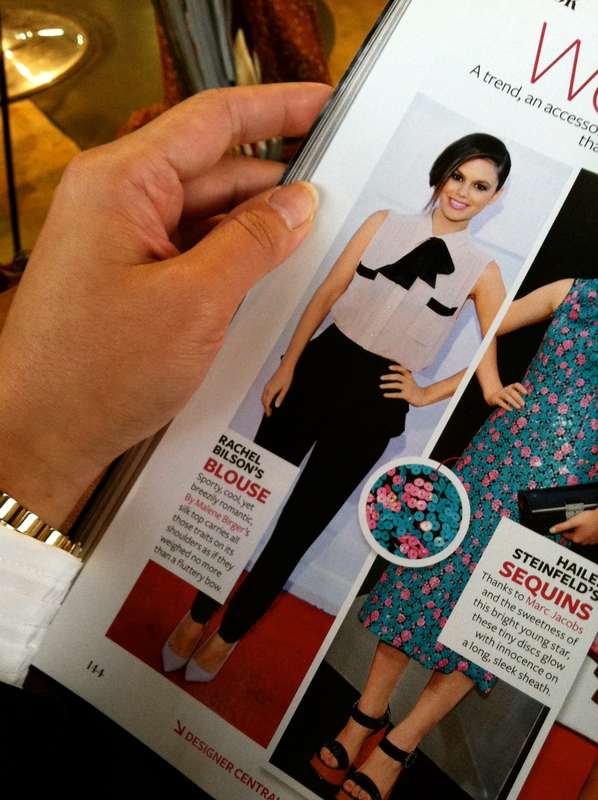 Another fashion idol, Rachel Bilson. The fact that she’s 5’2″ should be enough said (I’m 5’2″). She always manages to look 6′ tall in whatever she’s wearing and knows her proportions so well. Her style is a perfect balance. Feminine with an edge, tailored with a bit of romance, and never afraid to mix patterns and fabrics. If only my closet had her brain and just handed me my outfits each morning. Oversized cardigan, black skinnies, strappy heels, and gold accesorries. A plethora of amazing cuts, colors, and accessory choices. I’m particularly in love with the off-the-shoulder red and black ensembles in the center. Ah-mazing. And to share my very own fashionista moment, my incredibly thoughtful boyfriend bought me this beauty a few weeks ago! 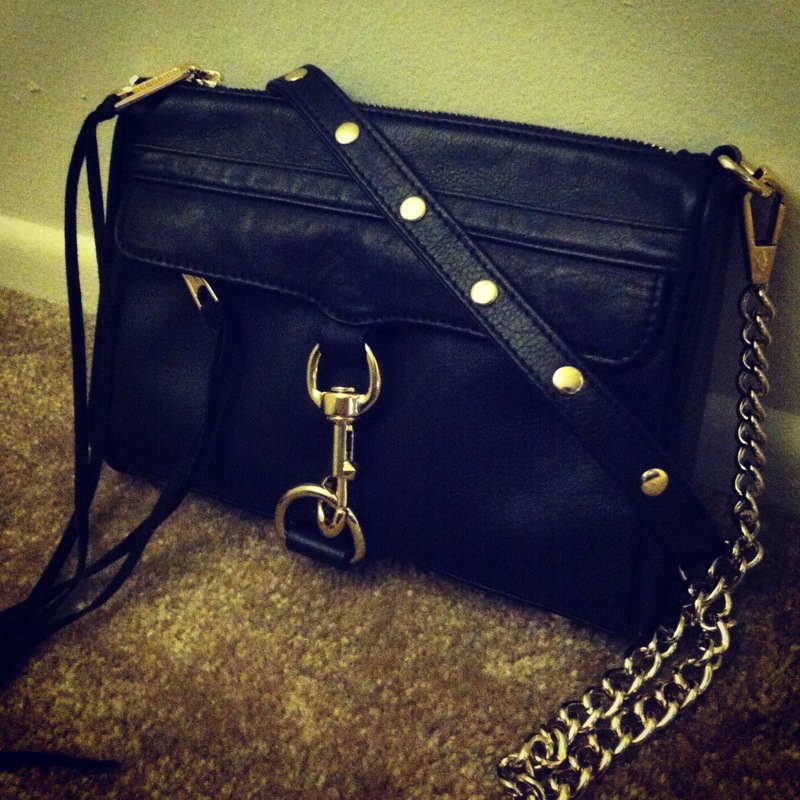 A Rebecca Minkoff “Mini M.A.C.” shoulder bag. Yes, I’m aware it’s only a purse and I do realize material possessions are just that, but… it’s so pretty. Call me what you will, but I can plug my ears and walk away with this puppy on my shoulder.